Are you currently dieting? Or do you just like(want to start) making healthier choices for you and your family? One of the hardest parts of eating healthy is missing all the junk food you used to eat. When you have a nice substitute, it makes it so much easier. The main problem with that(for me at least), s that even if you have something that tastes good, and you enjoy, sometimes you still feel like you are being deprived because you keep thinking of what you cannot have instead of focusing on the great thing you are eating. I have found myself numerous times thinking that it was almost punishment to eat a healthy food, even one that I would eat regularly even when I was not dieting. I LOVE fruit, and I used to eat it all the time even when I was eating everything i wanted, but when I can't have all the other junk, it feels like a chore to eat the fruit that I actually love. It's all a mental thing I think. For example I also love yogurt, frozen yogurt, sorbet, etc, but I still feel like I am missing out since I can't have real ice cream. Part of this feeling, I think, comes from the presentation just as much, if not more, than the flavor. When you see ice cream all decked out in colorful sprinkles and such, it just looks more fun and more delicious. I actually despise sprinkles, they taste disgusting, but they look fun and the yes are the first thing to "try" any food you eat. 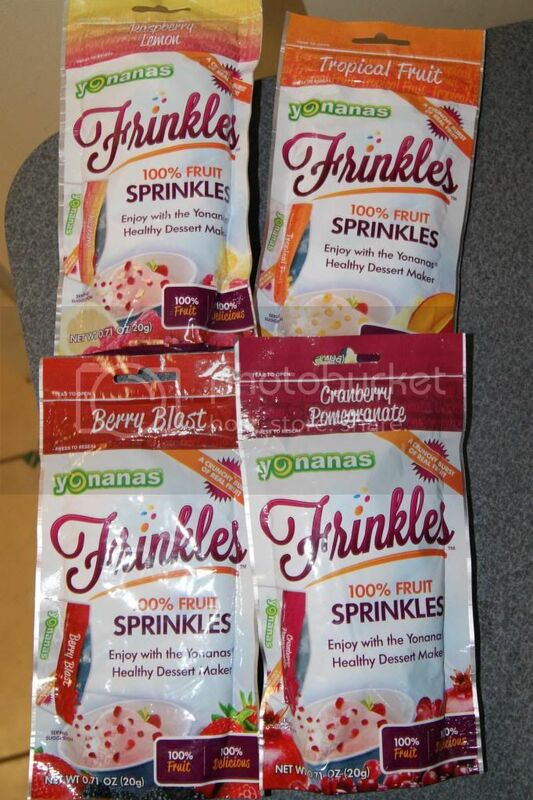 Thankfully for me, I found a product that not only offers all the colorful fun of sprinkles, but it offers better taste and diet friendly nutrition. It's nice that I found a "diet" food that tastes better than a junk food. 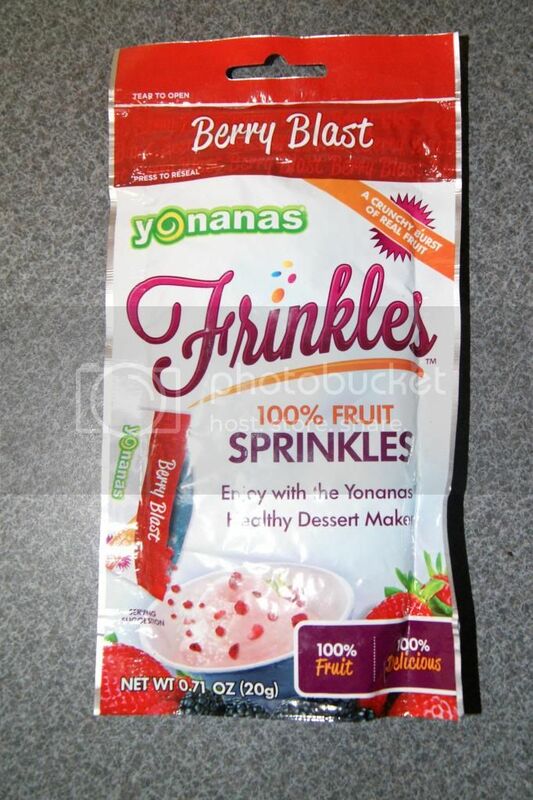 Frinkles are Freeze Dried Fruit Sprinkles. They come in 4 fabulous varieties. This is so bright and slightly tart. It really livens up anything you put it on. I love this combo. This blend of Pineapple, Orange, Lemon, and Mango is so delicious. I adore citrus and mango. This is a great combo. I have never had freeze dried citrus, so this is really unique. Cranberry Pomegranate is such a wonderful bold flavor. It is deeper and more intense than the more citrusy blends. I think this would be the most "common" flavor to me. 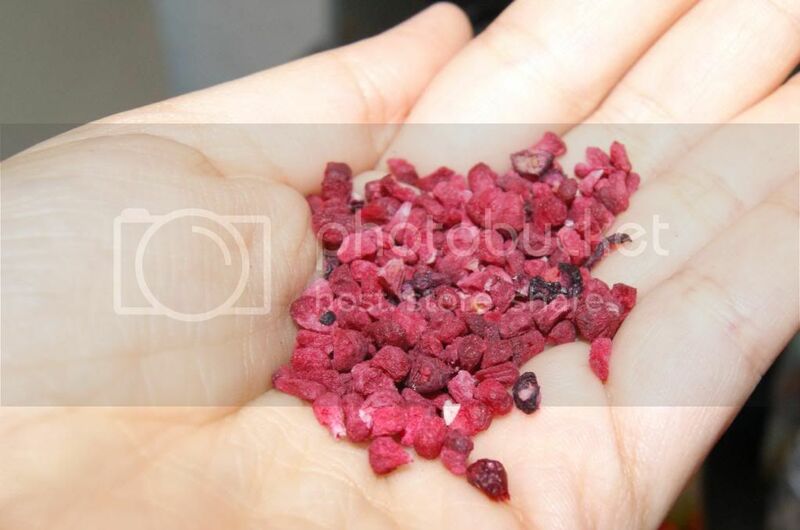 I have had freeze dried berries before(whole) and they are awesome. This is just as great on flavor and even more fun. Every flavor is incredible. The flavor is so fresh and delicious. The color and the texture are fabulous. They give you all the fun of sprinkles, with better flavor and better nutrition. 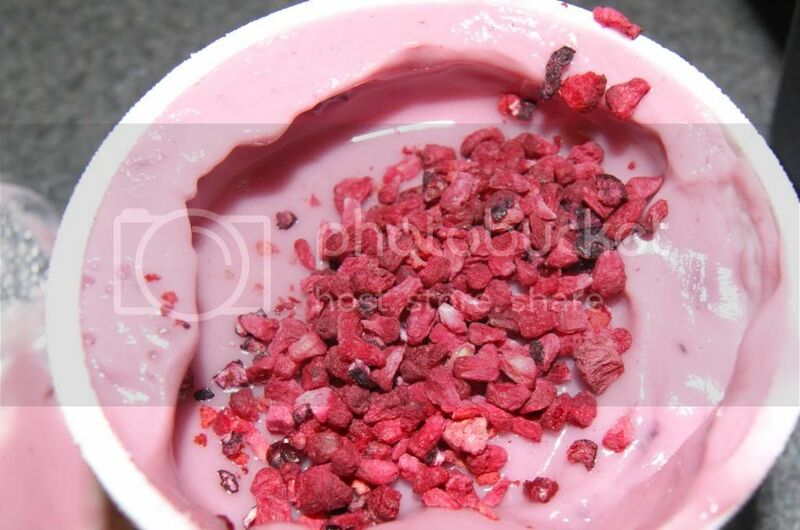 Check out how they turn "boring" fat free yogurt into a fun and pretty treat. That looks a lot better than a plain old cup of yogurt doesn't it? It tastes a lot better too. 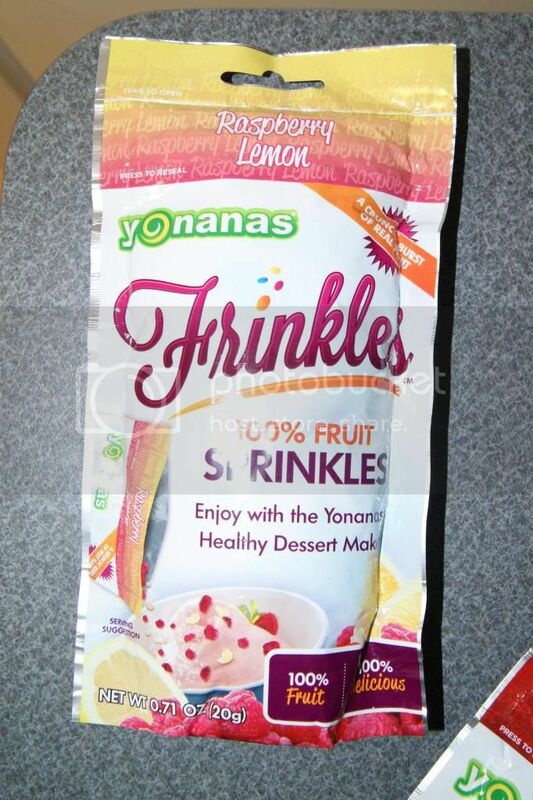 And Frinkles only have 5(natural fruit) calories per serving. I am so in love with these little drops of heaven. I have used them on lots of things already. They would be awesome for baking healthy muffins and such, and even great on real ice cream. 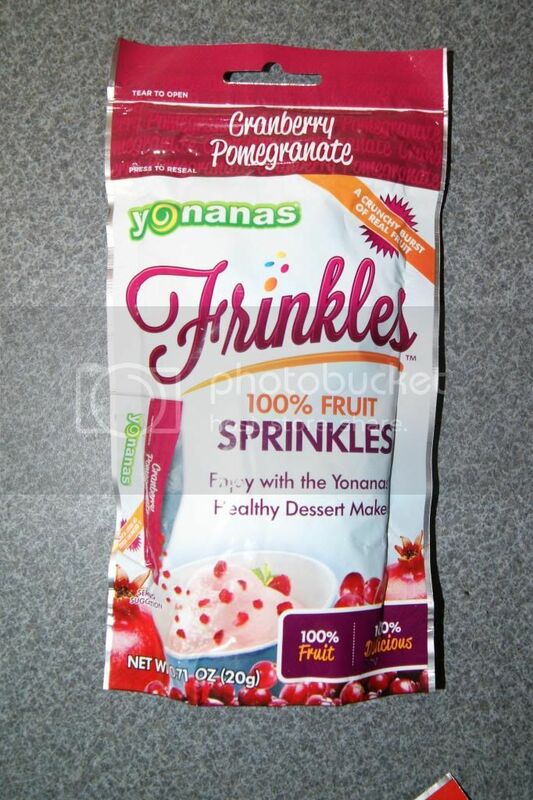 I love Frinkles plain too. Just use care to to make a mess like I do. My daughter loves them too. Yogurt and fruit are like her 2 favorite things ever, so this is perfect for her. 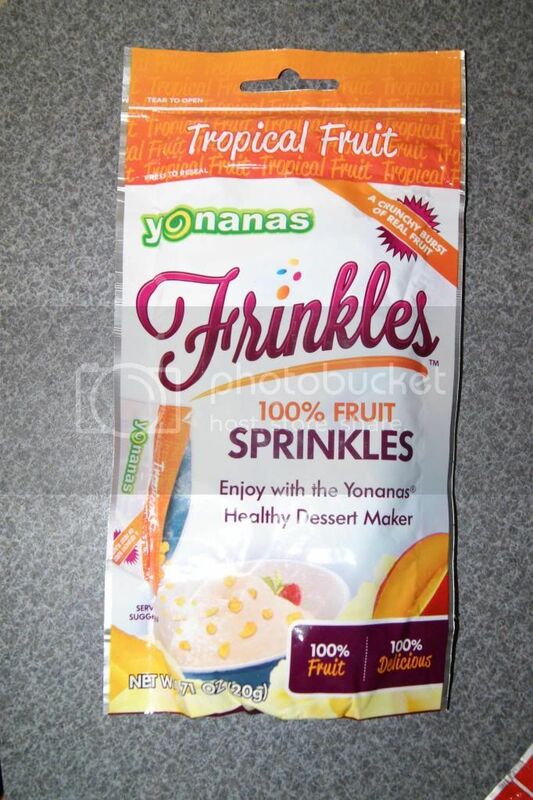 I think Frinkles would be perfect for any kid, or adult for that matter. They are just so fun, healthy and tasty. Nothing beats that trifecta.